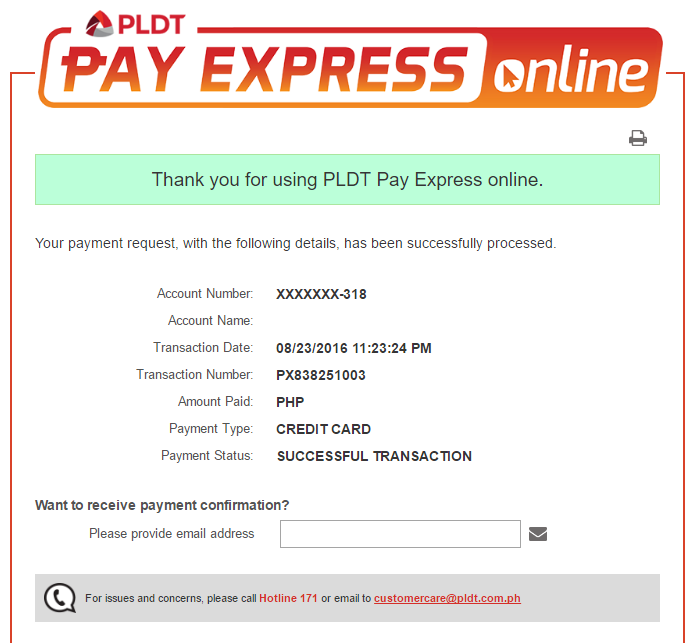 There is now an option to pay PLDT bills directly over the web using the PLDT Pay Express Online. Here are step-by-step instructions on how it can be done. 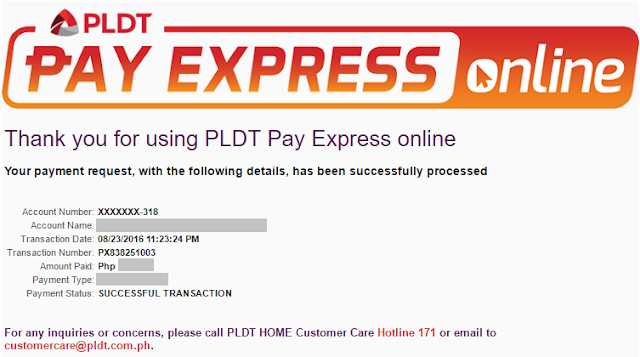 If you haven't enrolled your PLDT account to be eligible for email updates and alerts about your bill, you need to register. 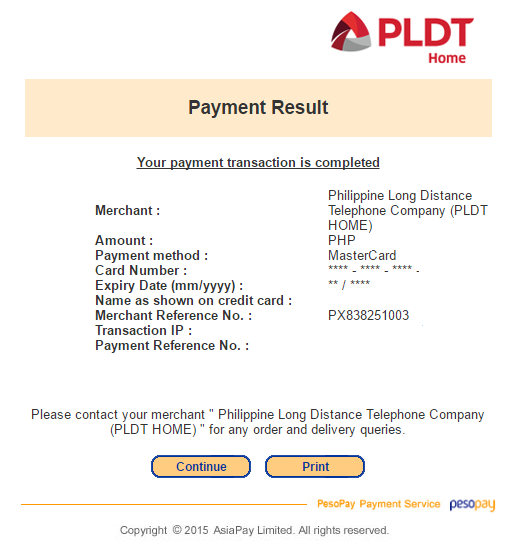 See http://pldthome.com/support and find the appropriate solution. 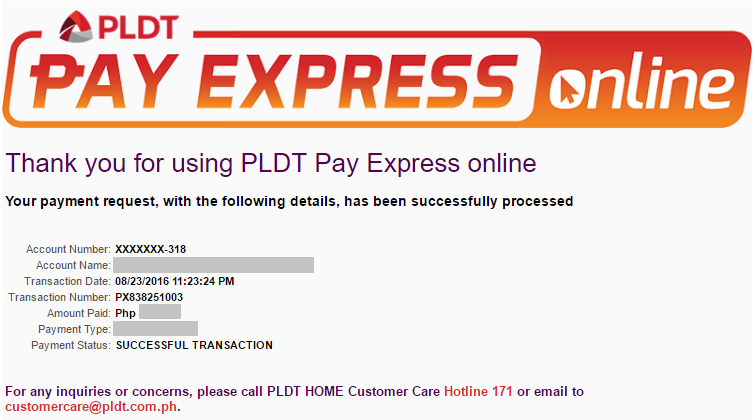 Going back to the instruction on how to pay your bill via the PLDT Pay Express Online option, enter the amount to pay. Input the exact amount only (not less, not more). Then choose your preferred option - Credit Card or Debit/ATM card. For credit card, this is how it looks like. The usual data asked for CCs such as card number, expiration date, CVV, and name on the card will be required. 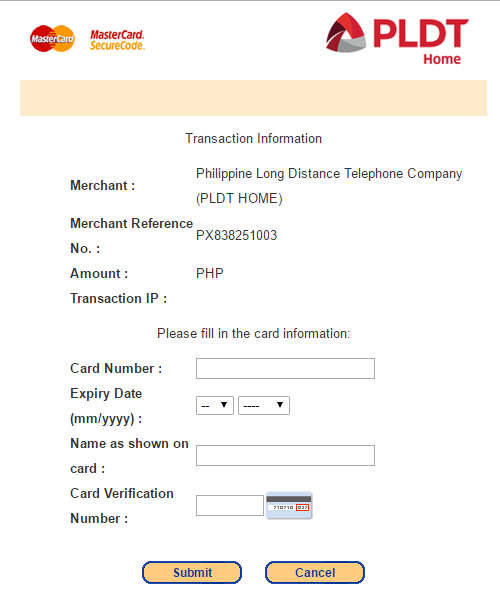 If you have a BPI credit card, you should definitely use the BPI eCredit card option. The card is designed for web purchases so in case your card details are sniped, it doesn't compromise the actual credit card and its balance through unauthorized usage. 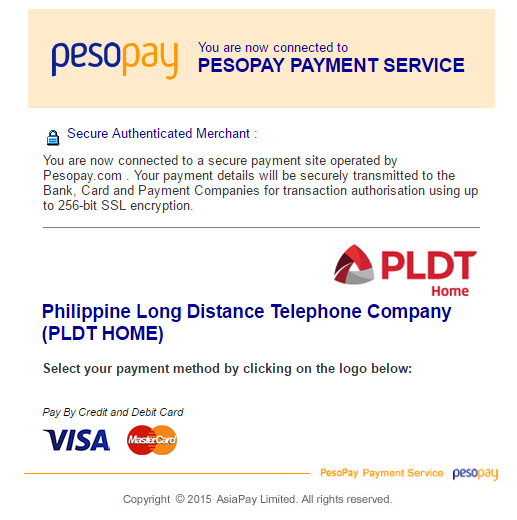 Hit Submit and press OK to confirm the payment when prompted to do so by www.pesopay.com. This is what comes up next when your payment is completed. Click Continue. 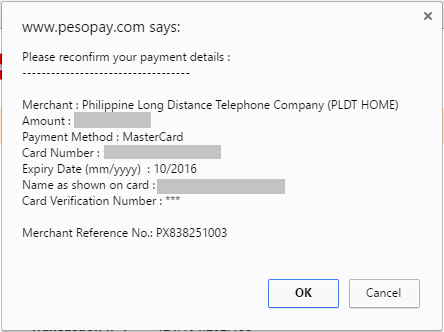 Here's another confirmation to acknowledge that your payment request had been received and processed. You have the option to ask for an email to confirm as well from here on or just close the page. This is what comes up after clicking on the link provided at the confirmation email. Important: Please note that this will only work for accounts which are not yet past due. For overdue bills, you need to pay through a PLDT office because the bill will now include penalty or late fees and other charges. 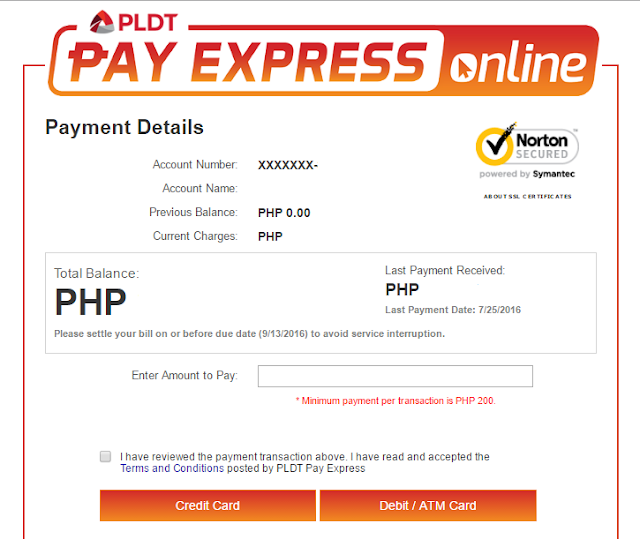 For more information about this option to pay bills using the Pay Express Online, contact PLDT.